Hand Drawn Vector Color Illustration Of Food Vendor Isolated On White.Design For Street Food.Vendor Cart Illustration.Street Retail And Wheel Market.Street Food Kiosk And Trolley.Lettering. 免版稅剪貼畫，向量插圖和股票. Image 117256743. 版權商用圖片 - Hand drawn vector color illustration of food vendor isolated on white.Design for street food.Vendor cart illustration.Street retail and wheel market.Street food kiosk and trolley.Lettering. 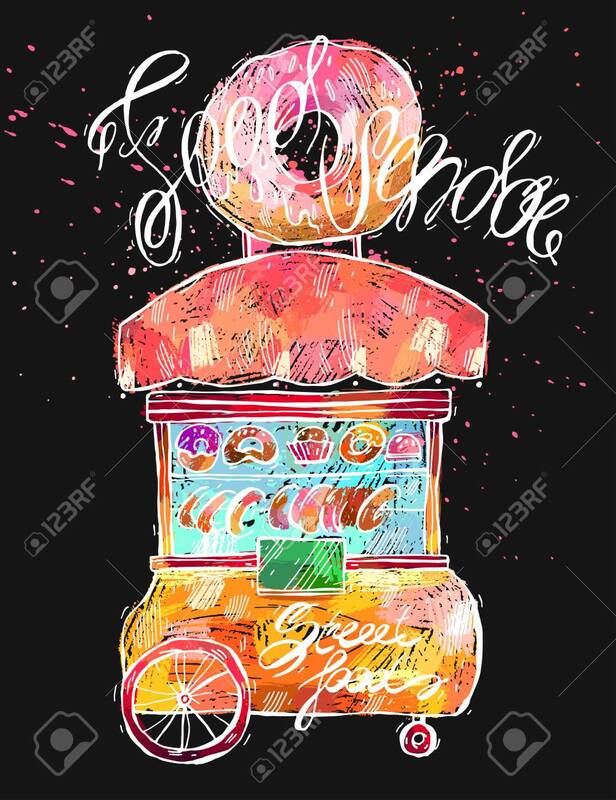 Hand drawn vector color illustration of food vendor isolated on white.Design for street food.Vendor cart illustration.Street retail and wheel market.Street food kiosk and trolley.Lettering.